The specialists at Goldfaden MD have yet another fabulous skincare product. 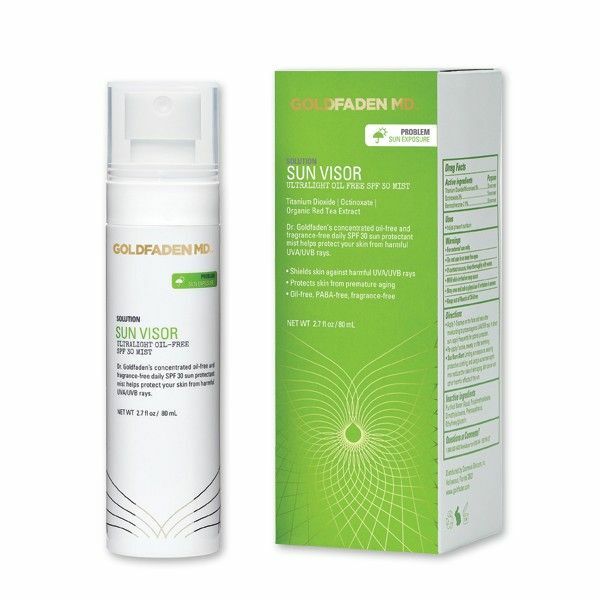 Sun Visor’s opaque fine mist stray is quickly and invisibly absorbed to provide oil-free UVA/UVB protection. Formulated with both Titanium Dioxide and Zinc Oxide, you’re doubly protected, and the antioxidant organic red tea has the added benefit of rejuvenating your skin. We also like how this SPF30 sunscreen doesn’t have a heavy or sticky feel on the skin and is fragrance-free.